TITLE: "Cloud Balloon No. 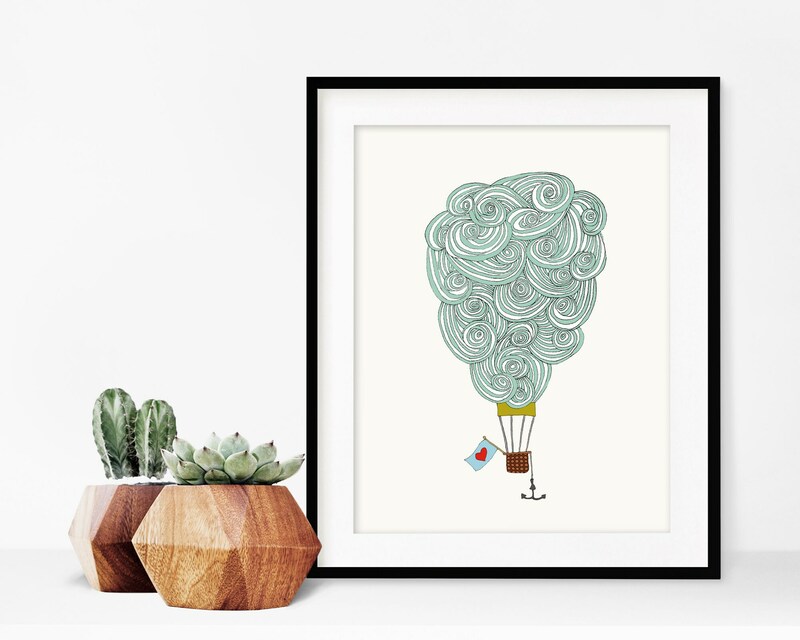 3"
This is no ordinary hot air balloon, it's a cloud. 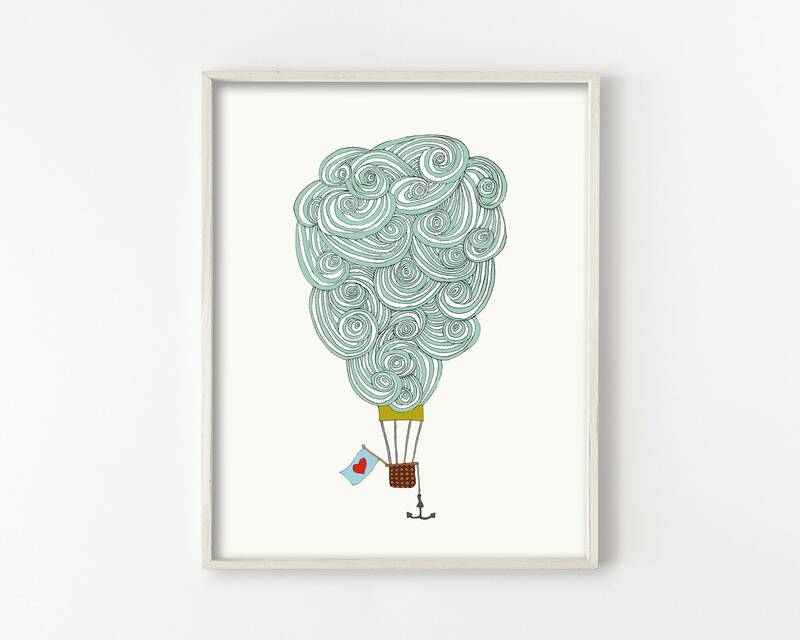 Floating silently and happily along, with an anchor in case it ever wants to rest a while on the ground below. 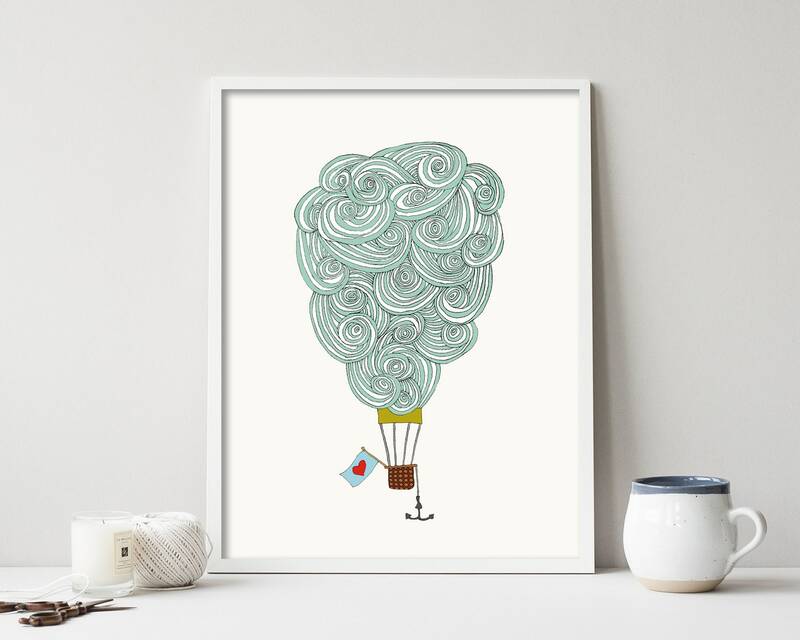 The "Cloud Balloon" was drawn with pen and ink, then scanned and colored digitally with this bright tangerine orange background and pastel blue tones.